Do you like ball sports? I mean, really like them? New helmets from Italy but one question: why? 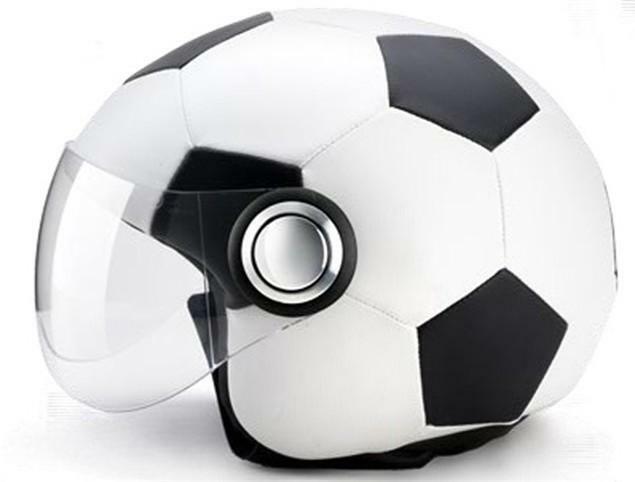 This new range of motorcycle helmets has been created by Torneo. They're slightly more individual than your average Haga-rep Arai, but that doesn't mean you should buy one. Just think, everytime you stop at the lights, instead of asking you to hoik a wheelie, the local kids will try and kick your head in. Not good.